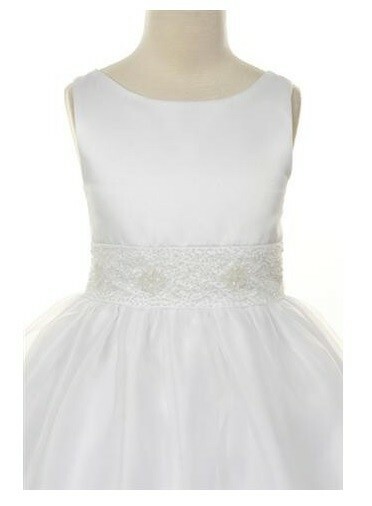 A beautiful, fully lined satin dress with organza skirt. The waist is embedded with beautiful pearls and crystal beads. 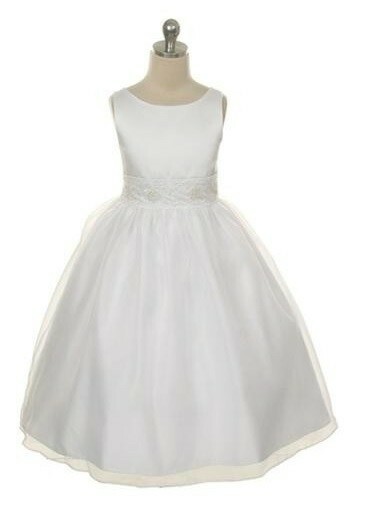 This lovely dress is perfect as a flower girl dress or holy communion dress. Available in Size 8 - 16.